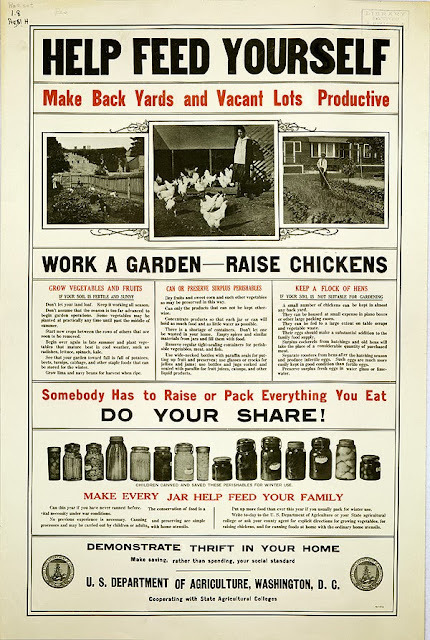 I love this USDA poster from 1917. I'm excited that the ideas presented in the poster have started to become really popular lately. Backyard chickens and gardens? Yes, please! Using empty lots? Sign me up! As this poster proves, these ideas are not new, but I feel like the sentiment has become so lost in the past couple of generations. The revival of self-reliance is a movement that I hope continues and grows!